Welcome to a place where great things happen! 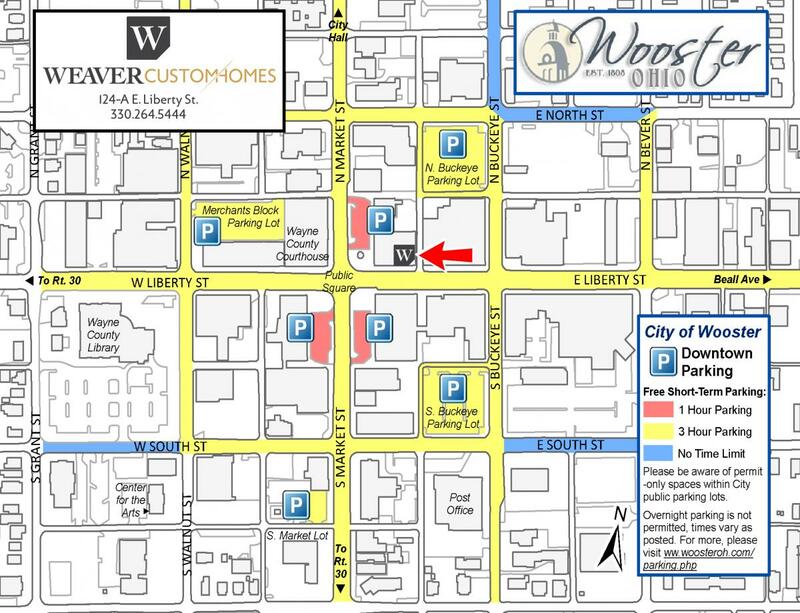 We invite you to tour our award-winning Design Center in historic downtown Wooster. Weaver Custom Homes received awards from both Heritage Ohio and Mainstreet Wooster for our restoration work. You’ll find a team of professionals who are ready to help you bring your vision to life. Get inspired to build a truly custom home. Familiarize yourself with the beautiful products we offer. The Design Center features ten different ceiling treatments, every office showcases different style doors, cabinets, and countertops. Every square foot exemplifies what we can create in your new home. We understand that your HOME is one of the largest emotional and financial investments in your life…where your family and friends will gather and make countless memories. Our Design Center is just one example of our unwavering commitment to our clients having a wonderful building experience. We’ll guide you every step of the way! Like having a “Personal Shopper”, to make your decisions easier, our design consultant has done much of the work for you. By learning your design style and researching new products and design trends she can help hone in on the best choices to create a one-of-a-kind home that reflects your personality. Many of our clients have very busy lives, and they really appreciate not having to run all over town researching and coordinating the purchase and installation of numerous products for their new home. We think you can make easier and better decisions when you can see all of the styles and finishes that you are selecting for your home at the same time in our beautiful Design Center. Daisy Shamp has over 15 years of valuable design experience in various areas of the building and design industry. 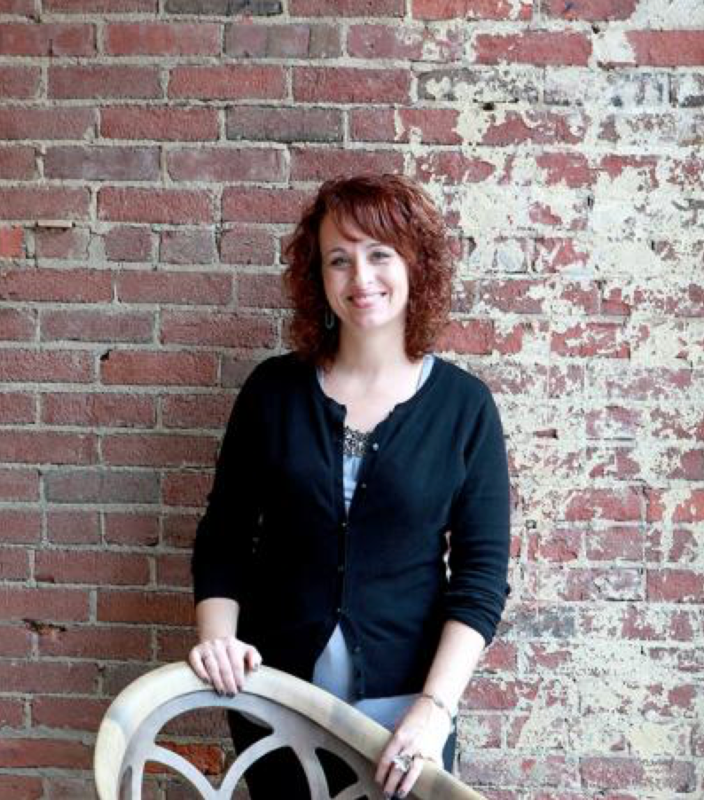 She has been with Weaver Custom Homes as our design consultant for over 10 years. Daisy loves a wide array of design styles and encourages her clients to build what inspires them so that in the end their home becomes a reflection of them and their personality. She strives to showcase new products and fresh ideas into all of her designs. Daisy is passionate about what she does and is completely committed to making your experience fun and stress-free. Daisy and her family live on a “misfit farm” in Wooster, complete with pigs, chickens and a fainting goat! Her whole family is very active in the Wayne County Fair. Daisy is passionate about design and you can see her work on Houzz.com, where our photos have been saved over 1 million times to idea books! She is constantly looking for new sources of inspiration and attends the National Home Builders Show and the Kitchen & Bath Show. Daisy has been with Weaver Custom Homes for almost 9 years and she works hard to research the high quality products we offer so she can convey all their benefits to you and find the best materials for your new home. Daisy also specializes in window treatments, allowing you to conveniently select everything in one place. Sharing your inspiration photos or your Houzz idea books will help our Design Consultant envision your personal style. Our Design Consultant will meet with you at our Design Center to start making your choices on the colors and finishes for your new home. We promise to educate you all about the value in the products we offer, work hard to provide solutions to your lifestyle and needs, and to help you express your own personal design style. One of the wonderful things with custom building is that you’ll have the power to invest in those features and finishes that make sense to you. You will have choices from the wide array of wonderful quality products we have in our Design center, in all different investment levels. Any upgrades or changes, that were not included in the original contract, can be authorized with a change order and payment for the choices during selections.